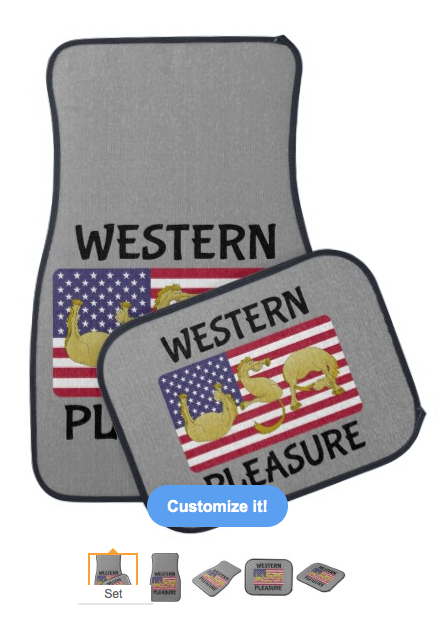 USA Western Pleasure Horse. Western Pleasure horse design from my pony alphabet series. 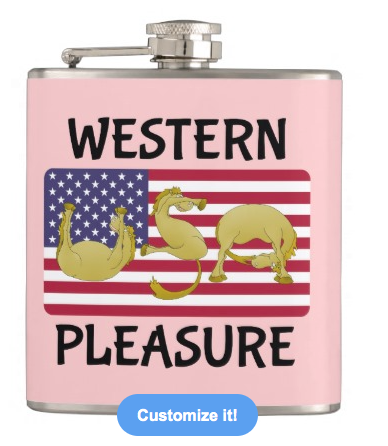 Three flexible cartoon, ponies contorting their bodies into the letters U.S.A. The ponies are framed by the Stars and stripes flag. 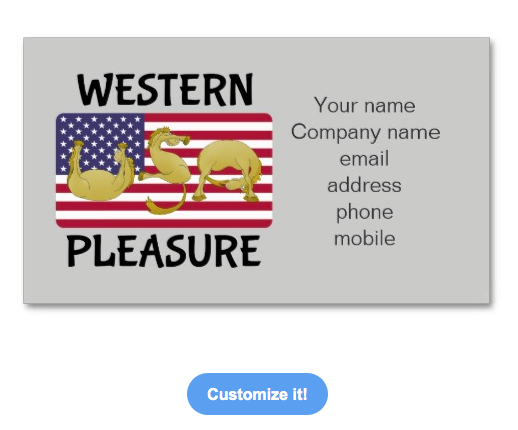 The text reads Western pleasure. These designs can be found on many more products in my pony alphabet store.